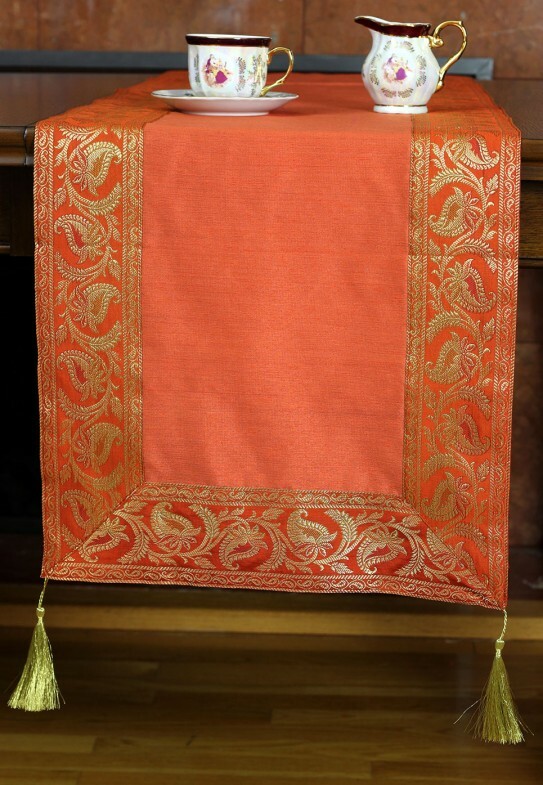 Bright solids are paired with Banarsi Designs' exclusive Saree border for a truly unique look. 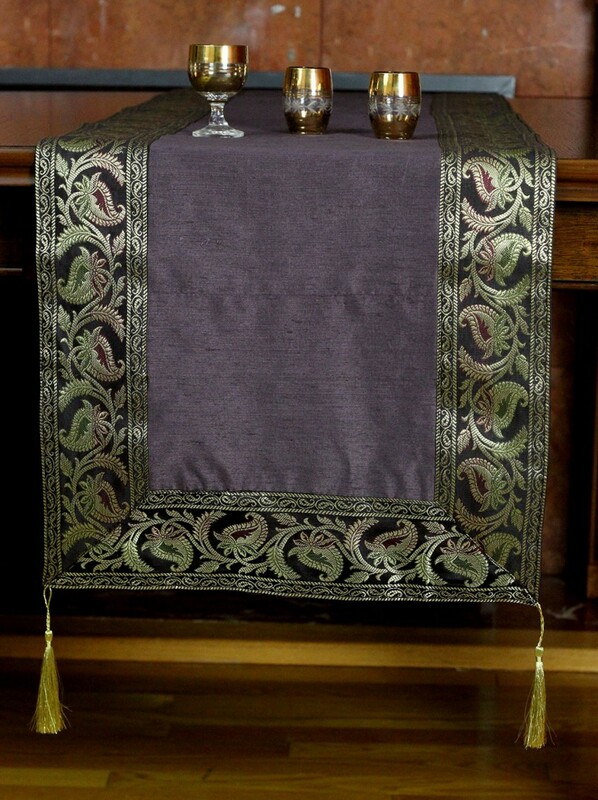 Available sizes: 72" x 16" and 120" x 16"
If you’re looking for something a little more sophisticated for your dining area, this gorgeous shimmering table runner will certainly meet your needs. 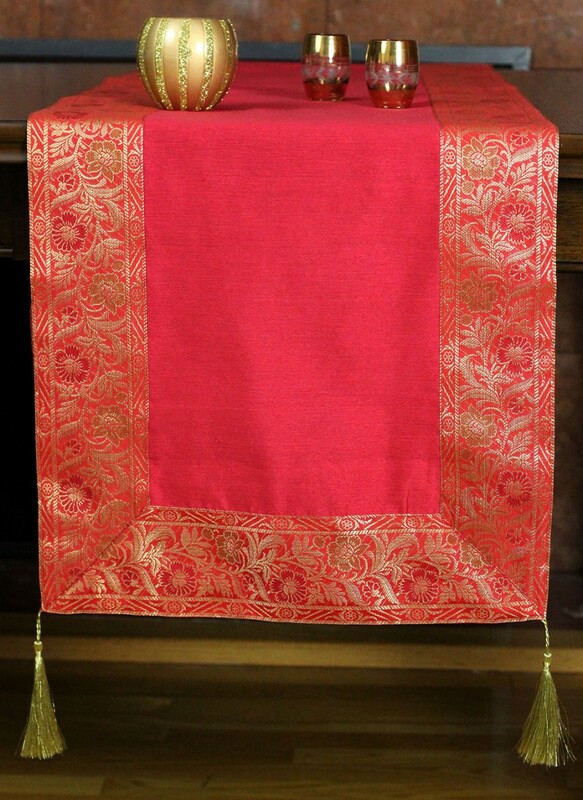 Bright, bold fabric colors are surrounded by a golden Saree border that is exclusive to Banarsi Designs. Try a stunning, eye catching scarlet red to create a warm gathering area in your home, or choose the cool silver for a luxurious, high end look. 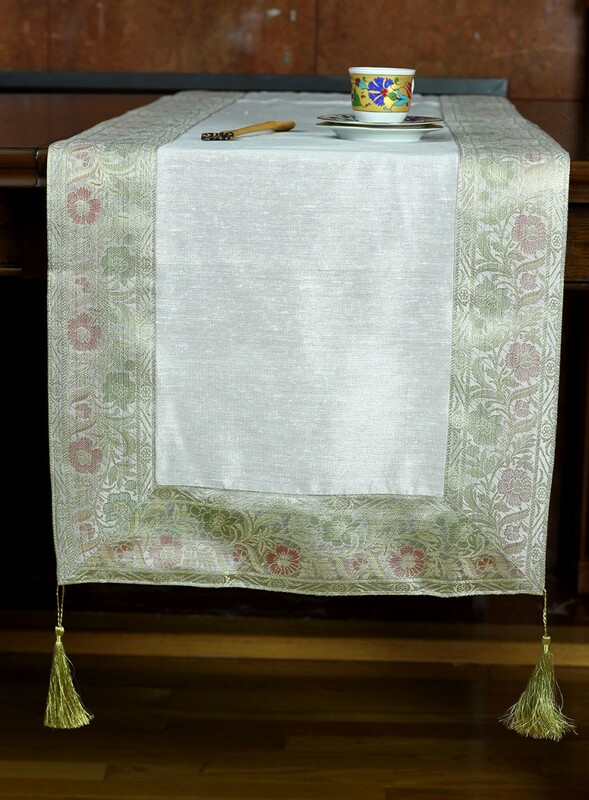 This posh table runner is perfect for special occasions, and will take any dinner to the next level. 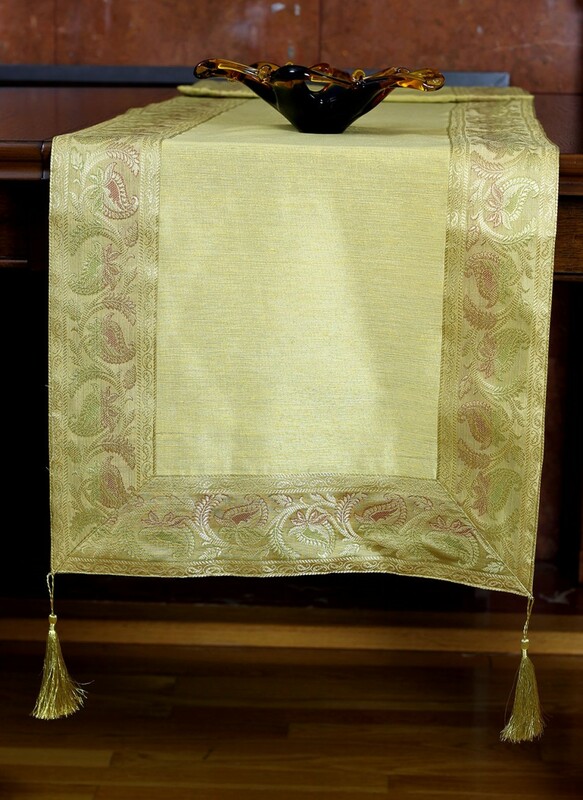 Crafted in India, this table runner is available sizes: 72" x 16" and 120" x 16".